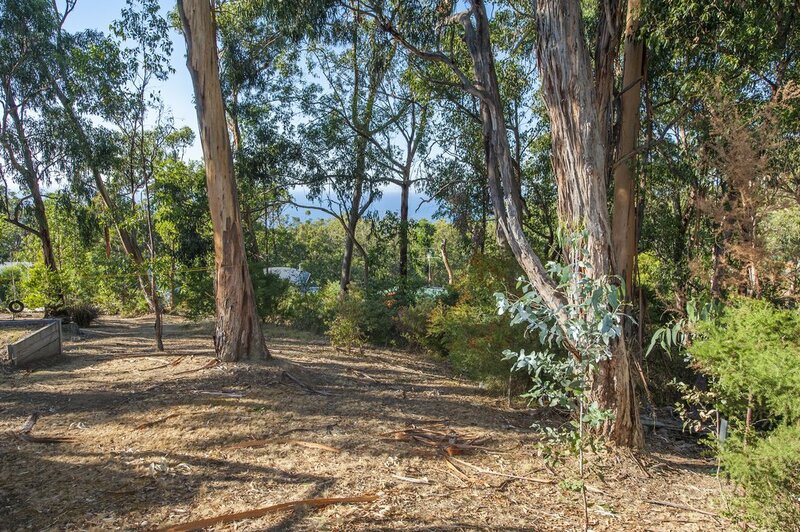 Gulah – this property holds the proud indigenous name for Koala. 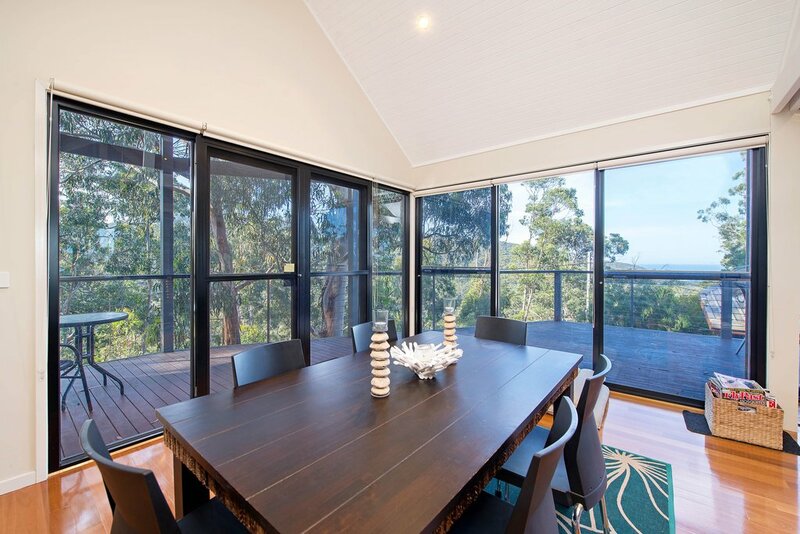 Nestled in the gum trees with the koalas as friendly neighbours, this modern beautifully finished house offers a relaxing coastal holiday. 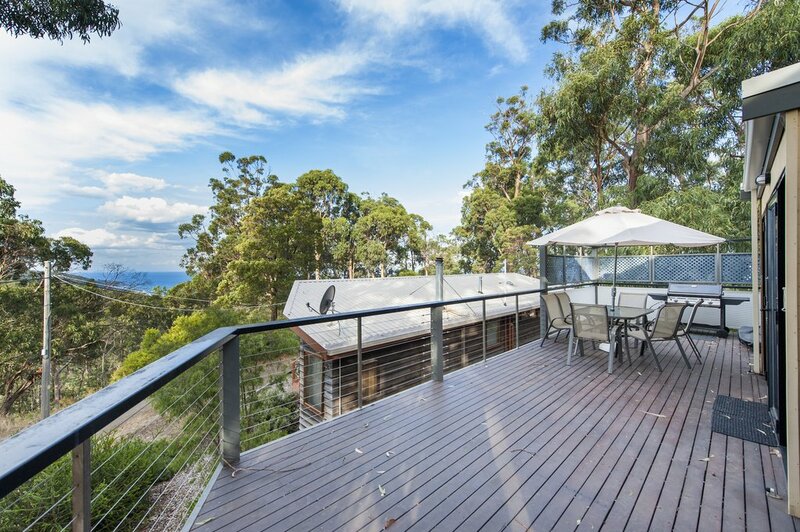 The two story house has a spacious feel, with the upstairs large open plan living, dining and kitchen area opening onto an expansive deck complete with outdoor setting and BBQ. 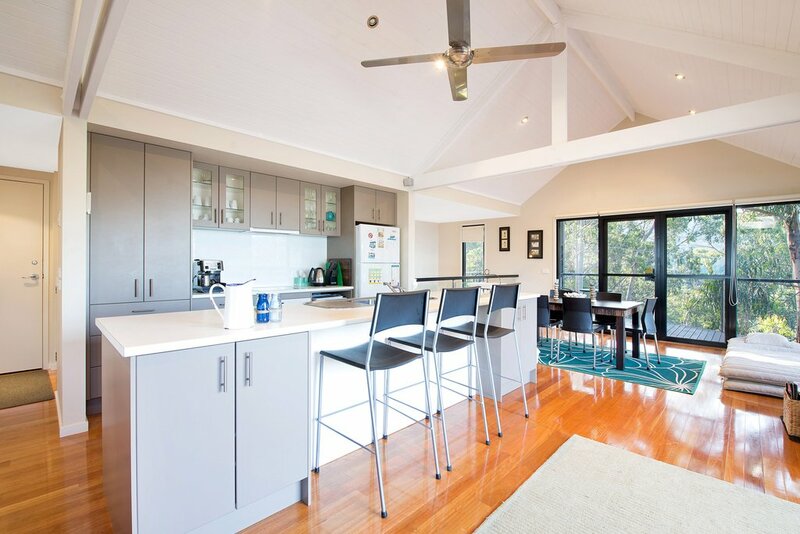 The well appointed modern kitchen with electric oven and cooktop also has a Breville pod coffee machine (BYO pods). 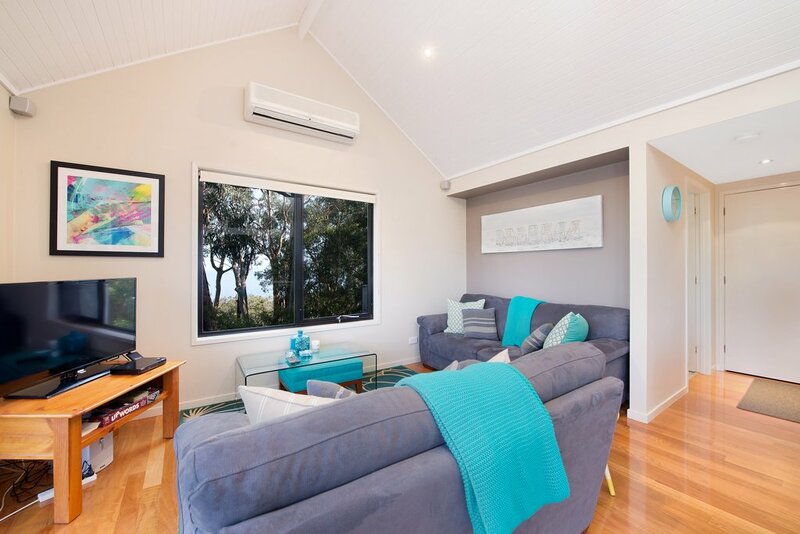 The comfy lounge has a large TV and reverse cycle heating and cooling. 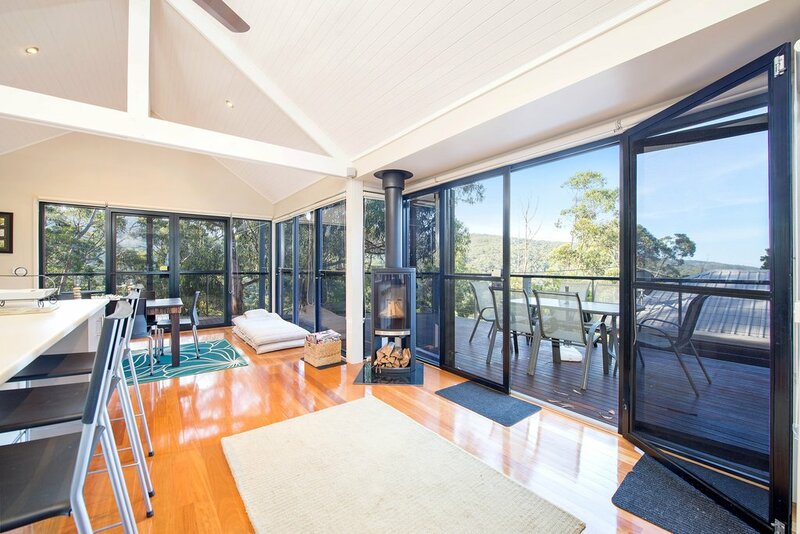 A wood fire adds warmth and ambience to this open plan space over the cooler months. 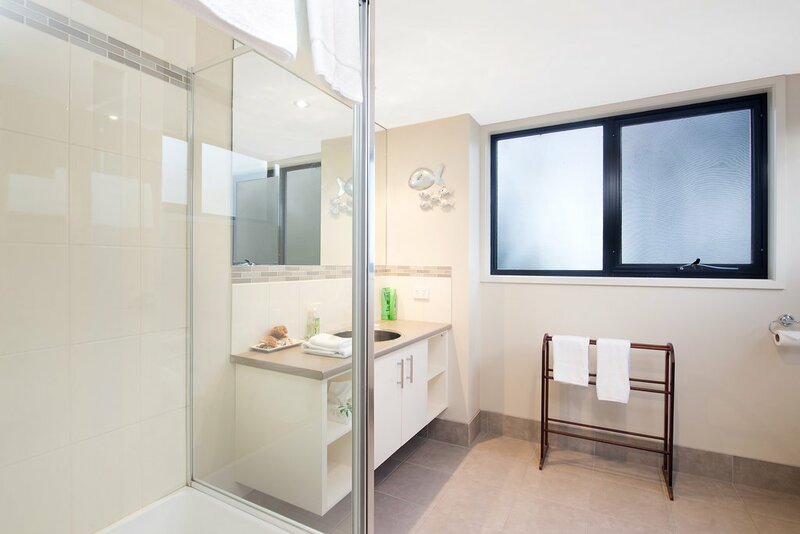 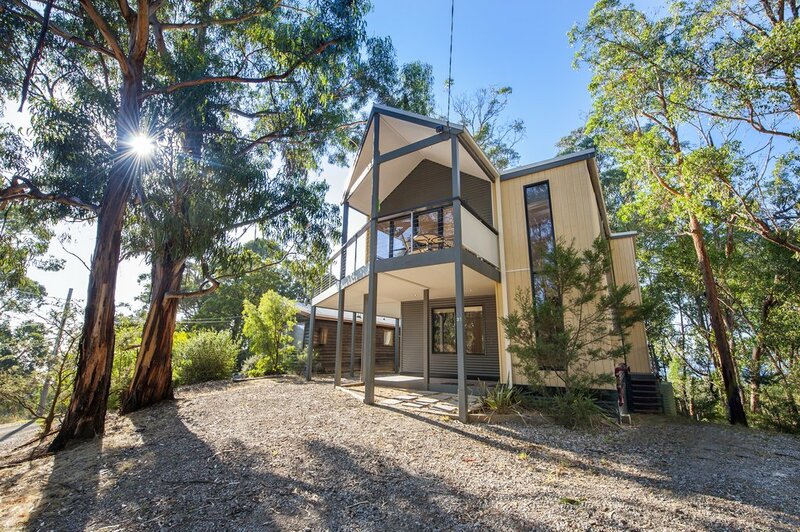 Complete with two bedrooms, two spacious bathrooms and separate laundry facilities, Gulah is a haven amongst the gum trees for your next coastal holiday. 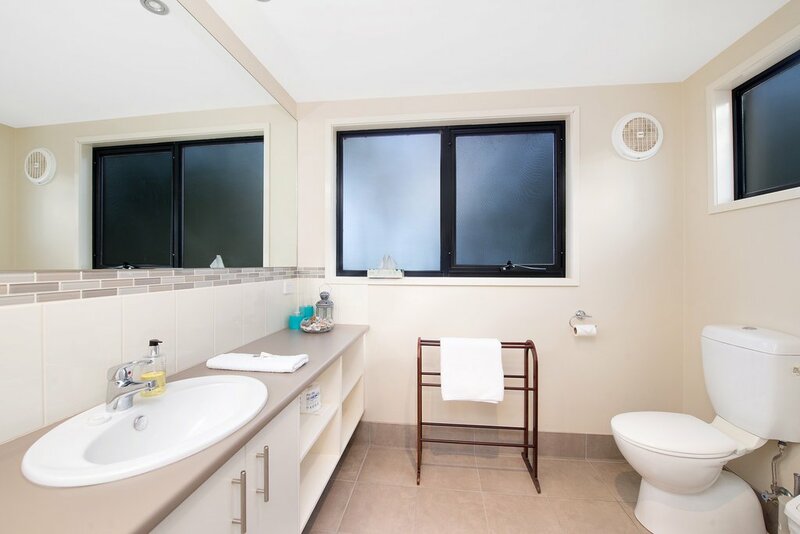 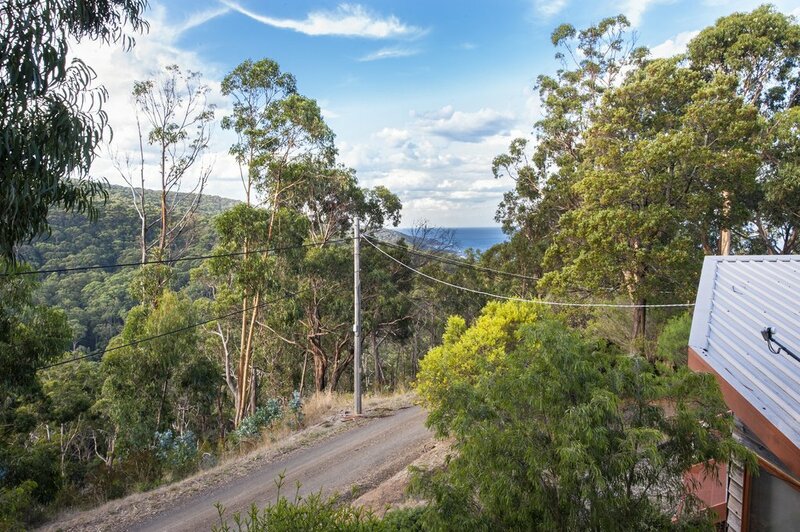 Located along the ridge of Kennett River, the property overlooks the magnificent Great Otway National Park, with distant ocean views looking towards Wye River. 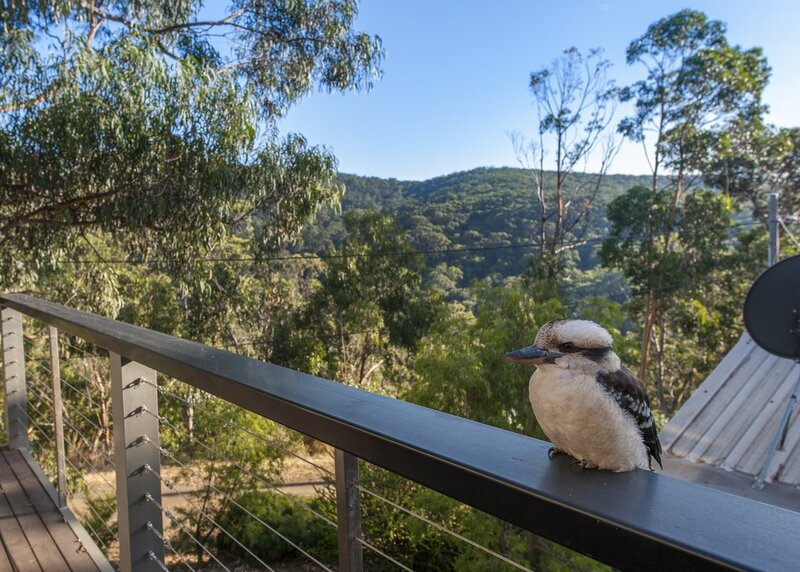 Koalas, king parrots, crimson rosellas, cockatoos and kookaburras are regular visitors for you to enjoy! 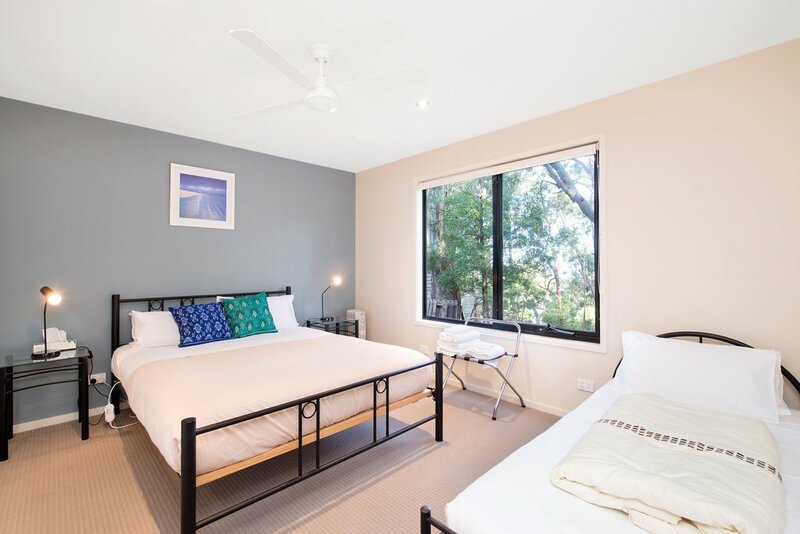 Accommodating up to 5 guests in 2 Bedrooms. 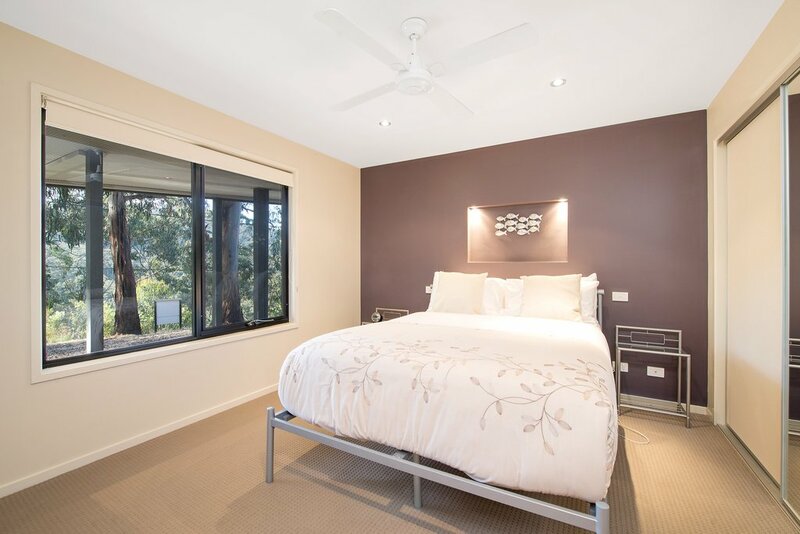 The master bedroom has a queen bed with the second bedroom offering a queen bed and one single bed.